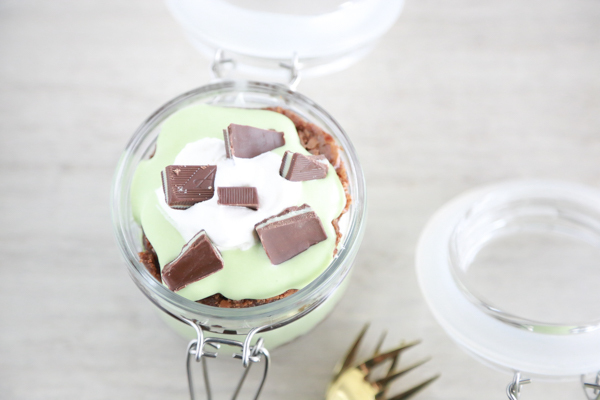 For a delicious St. Patrick’s Day treat, try this St. Patrick’s Day Parfait. I love parfaits because of all the yummy layers of flavors. They’re incredibly easy to make and they’re the perfect quick treat when a sweet craving arises. 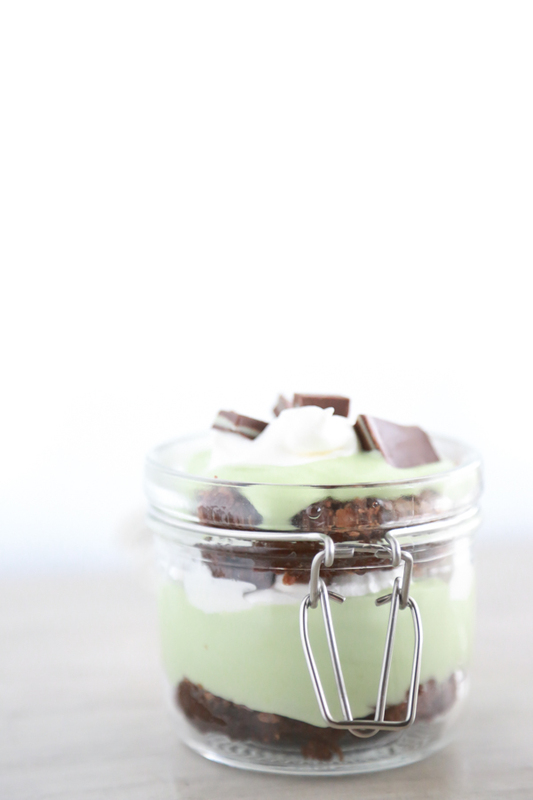 This St. Patrick’s Day Parfait features layers of brownies, mint flavored pudding, Cool Whip, and crushed Andes mints. But, feel free to change things up a little if you don’t like the mint flavor. 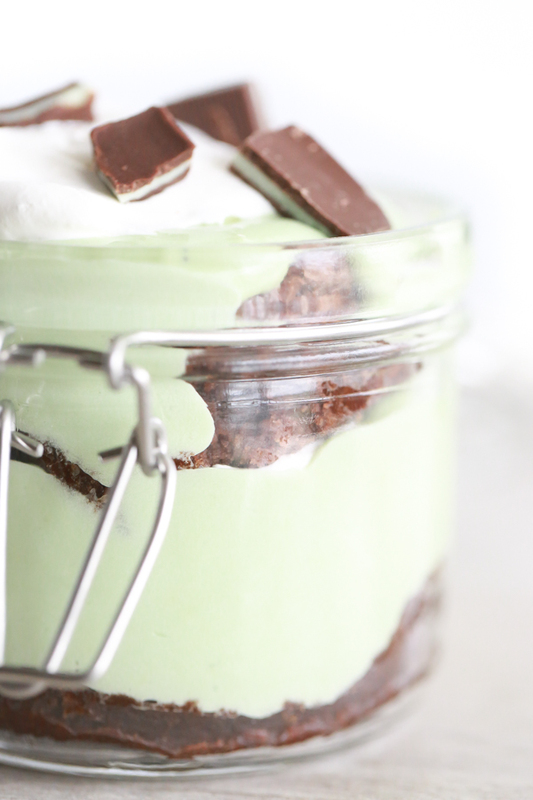 Just omit the mint extract from the recipe and you’ll still have a beautiful AND delicious St. Patrick’s Day Parfait. 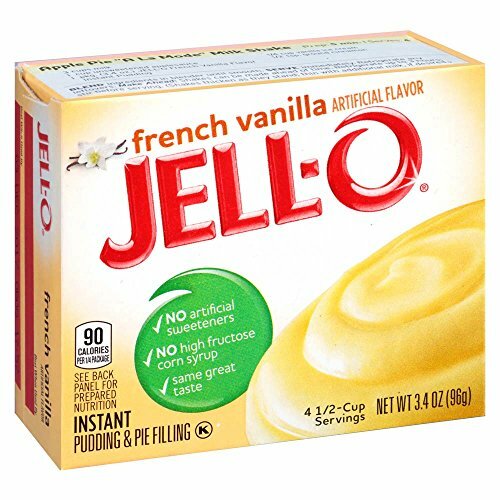 Jell-O Vanilla PuddingGet it now! Watkins Pure Mint ExtractGet it now! 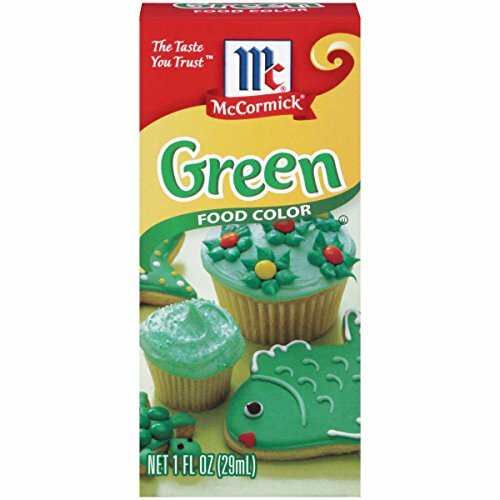 McCormick Green Food ColorGet it now! 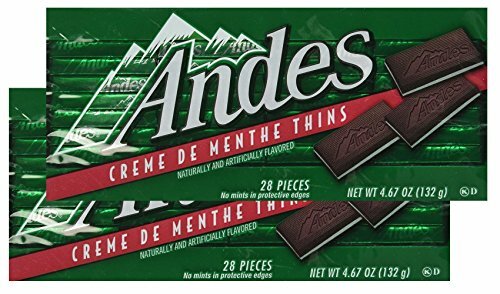 Andes Creme De Menthe ThinsGet it now! 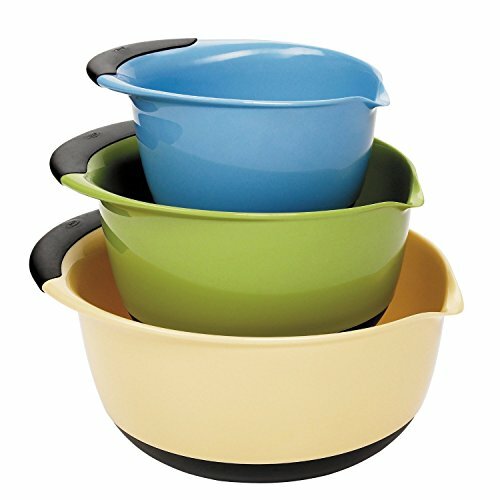 OXO 3-Piece Mixing BowlsGet it now! For a quicker, easier parfait, pick up some store bought brownies so that you don’t have to cook them and wait for them to cool. If store bought brownies aren’t your thing (raises hand), whip up a batch of homemade brownies the night before you want to make these St. Patrick’s Day Parfaits so they’ll be cool and ready to use. Scroll down for a free printable recipe card. 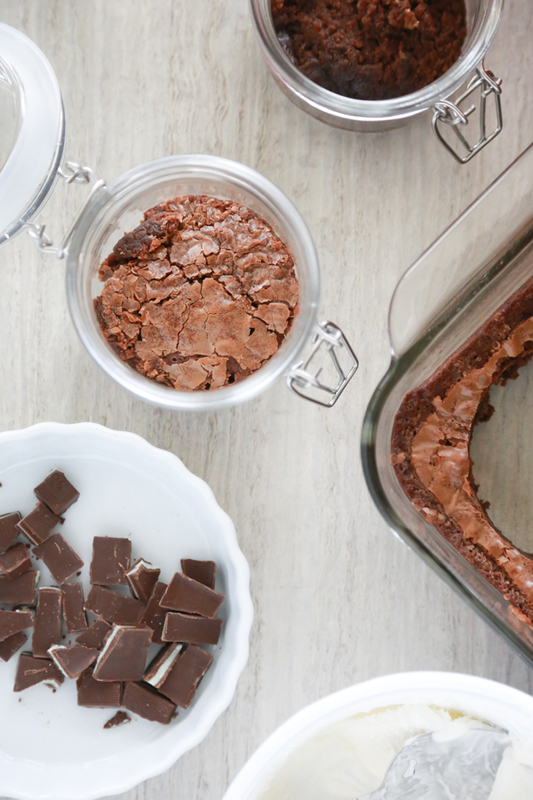 No matter what kind of brownies you are using to make your St. Patrick’s Day Parfaits, the key here is to make sure to cut the brownies the same size and shape of your container. For me, since I was using a small, round, glass container this time around, I used a glass cup to cut my brownies in a circular shape. And because my brownies were a bit thicker than I wanted, I cut each brownie in half before placing them into the parfait container. If you wanted, you could also crumble your brownies and layer them that way, but I like the way it looks having the whole brownie as a layer. If you want a thicker pudding, you could buy the bigger package (I think it’s 5.2 oz) and mix that with the same 2 cups of milk. I do that most of the time because I like a thicker pudding. But it works well either way so choose what works better for you. Once you have your brownies cut to size, place at the bottom of the parfait container. Next, pour pudding mix over the brownie. Top the pudding mix with Cool Whip. Repeat until you get to the top of your parfait container. I like using small containers so I usually only have to repeat once. Any more than that and it’s hard to finish. Two layers seem to be the perfect size. 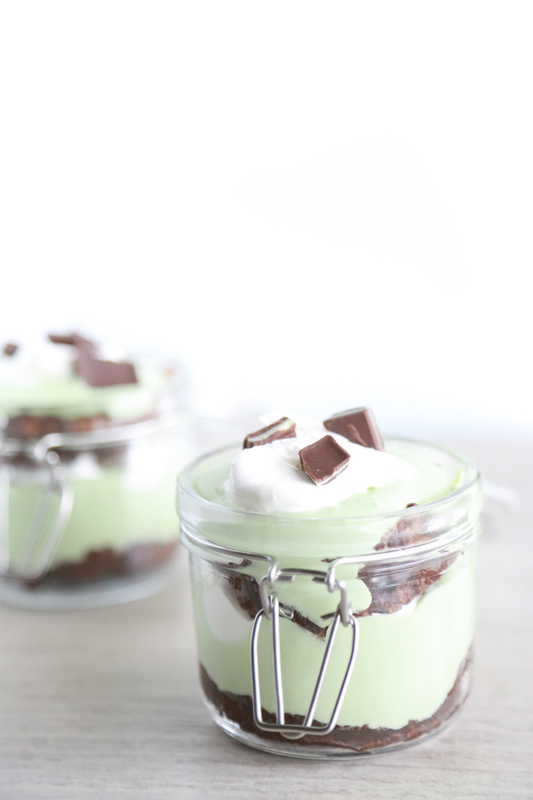 Finish off the St. Patrick’s Day Parfaits by sprinkling a little crushed Andes mints over the top. And the final step is to enjoy your beautiful creation! That’s the best part, y’all. 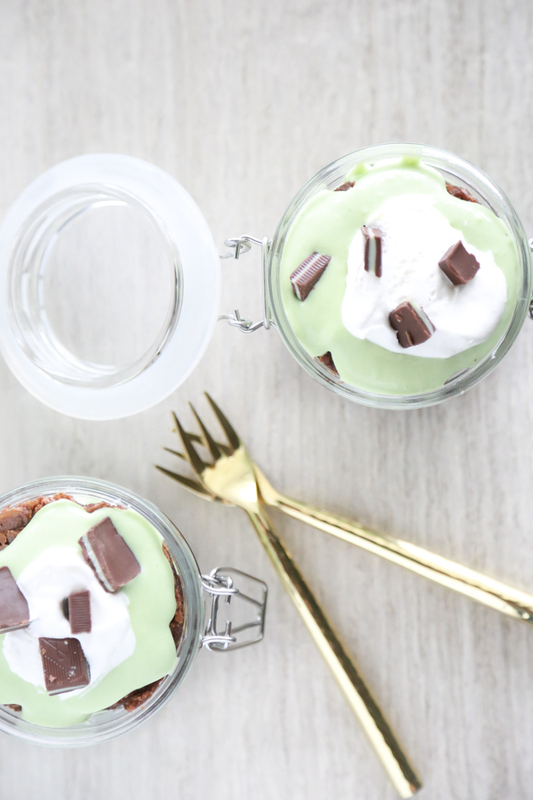 Don’t these little St. Patrick’s Day Parfaits looks so good? 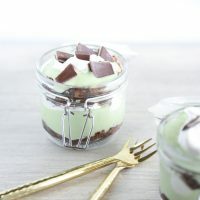 For a decadent dessert to celebrate St. Patrick's Day, try this delicious, minty St. Patrick's Day Parfait. Layers of deliciousness for your taste buds. If you're preparing homemade brownies, cook and let cool completely. In a large bowl, mix together pudding mix, milk, and extract. Whisk until there are no clumps. Add 1 cup of Cool Whip and green food coloring. Cut brownies in the shape of your parfait cup. 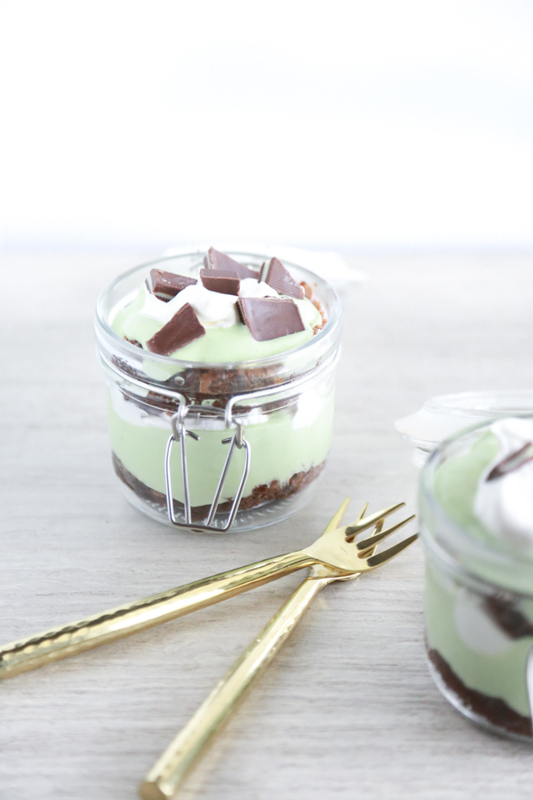 In the parfait cup, layer brownies, green pudding, and then Cool Whip. Repeat and sprinkle crushed mints on top. 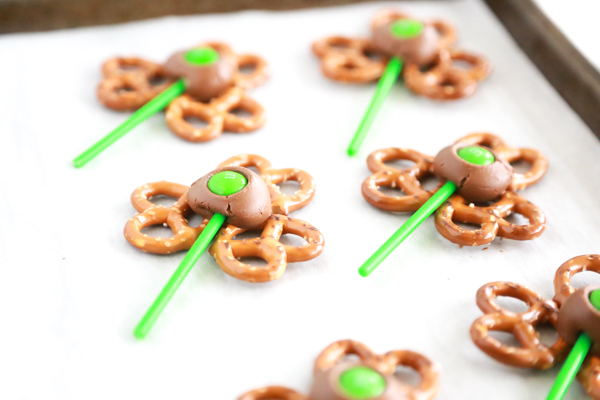 Don’t forget to pin these to your St. Patrick’s Day or dessert boards on Pinterest so you’ll be able to find it again easily. If you’re not following me on Pinterest yet, follow me because I’m pinning some yummy treats, y’all. AHHH! 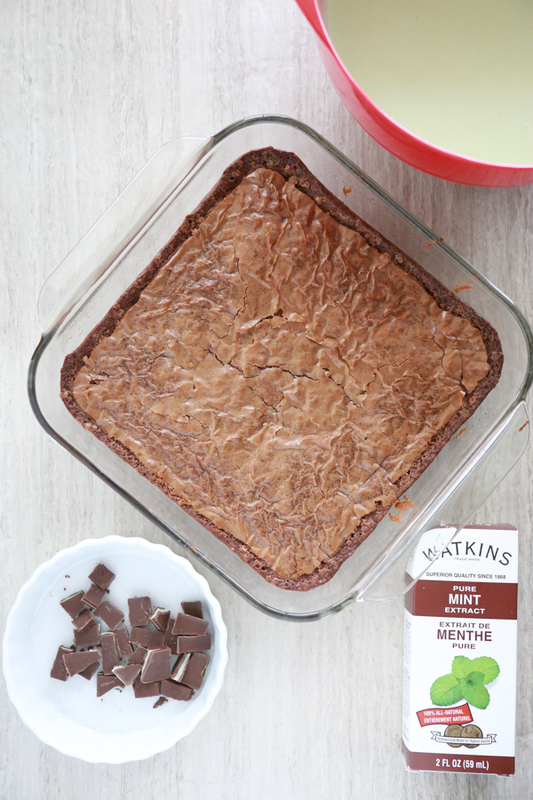 A brownie base with mints on top! I think I just found my new favorite dessert! Om nom nom. I was so relieved to see your recipe was for chocolate and mint. I was afraid it was going to be a cabbage dessert! I like parfaits too. Especially because it can hide a cake or brownies that fall apart. 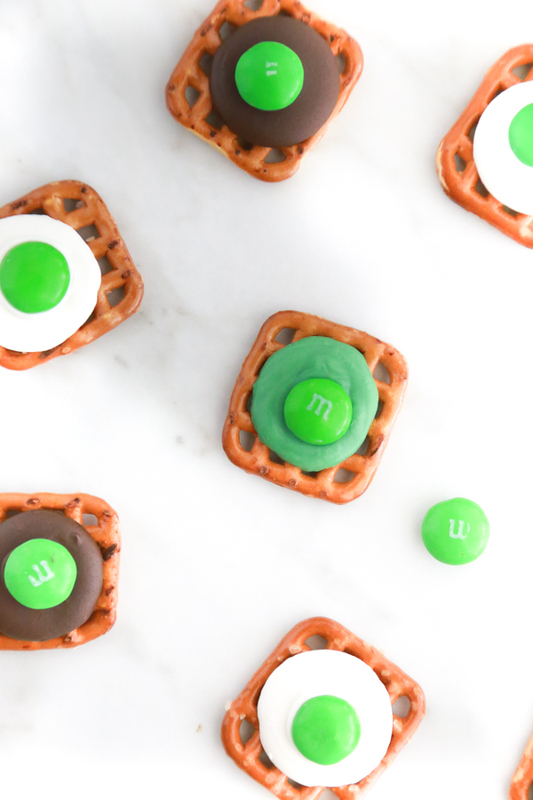 You had me at mint and chocolate. YUM! I like the resealable jars! Very rustic. 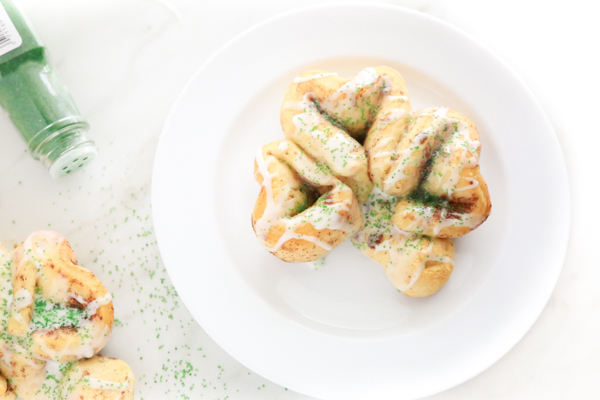 A perfect desert for St. Patrick’s Day! I love chocolate mint anything! This looks delicious!